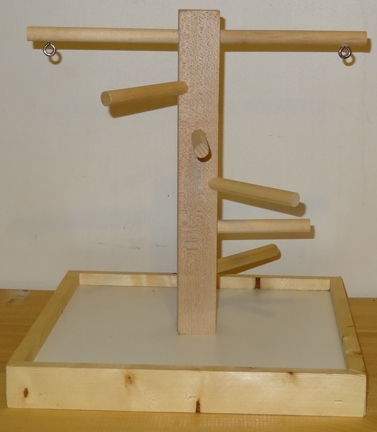 This wood playgym is the perfect place for your feathered friend to enjoy time away from his/her cage. It measures 12x12" at the base. Base is washable. Great stand for smaller birds such as cockatiels or small conures.